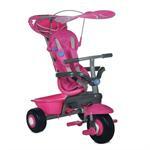 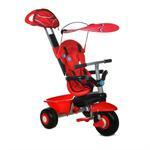 Smart Trike Sport allows your child to start being active at a early age. For your child's comfor Smart Trike Sport starts out with long padded sea, with a seat belt and safety bar for your child's safety. 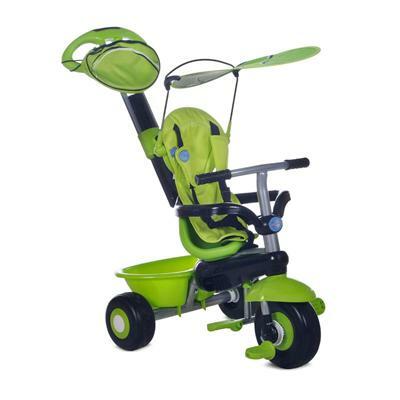 For the younger ages Smart Trike Sport comes with a handle for you to push your child and control the direction of the Smart Trike Sport. Once your child gets older and can operate Smart Trike Sport on their own, the parent handle can be removed, turning Smart Trike Sport into a regular tricycle.